I just love pie. 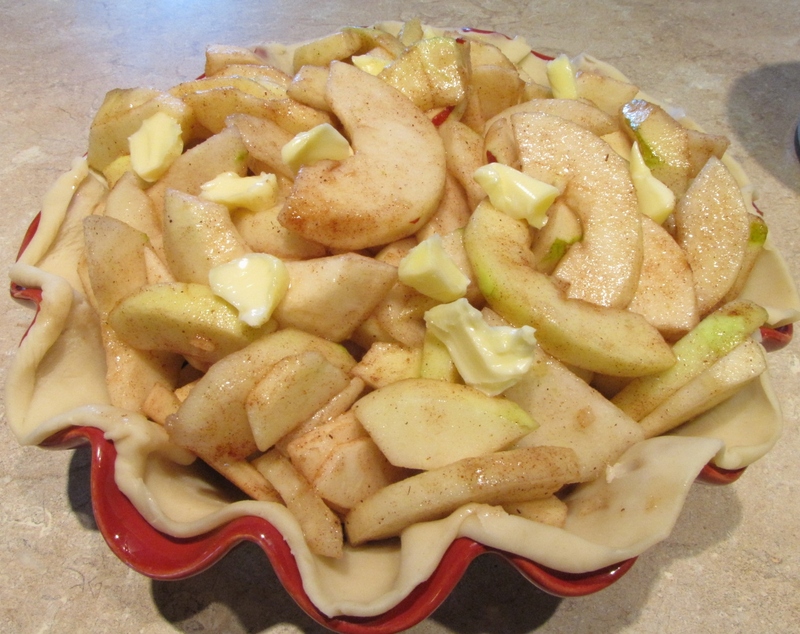 One of my favorite things to do is to make pie using whatever fruit is in season. 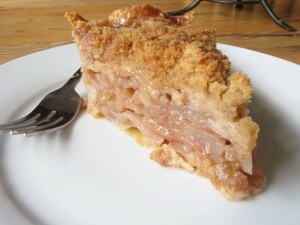 That’s what inspired this Apple Pear Crumble Pie. Two Golden Crisps, three Cortlands and three Bosc pears. This pie was a hit at my annual fried chicken dinner. It was sooo easy to make. I just peeled and cored the apples and pears, tossed with a sugar/spice mixture and topped with a crumb topping. The sliced fruit is tossed with sugar, cinnamon, nutmeg and allspice and topped with a little butter. The crumb topping is also easy to to make. Combine flour, sugar, brown sugar, cinnamon and cold butter. Tip: this pie will definitely bubble over so I like to place the pie on a baking sheet. Bake for an hour to an hour and 15 minutes until the fruit is tender. Let the pie rest until cool or you can eat it warm. If you go for eating it warm, just know that the pie might fall apart a little bit on you. If you let it rest, this is what it will look like. 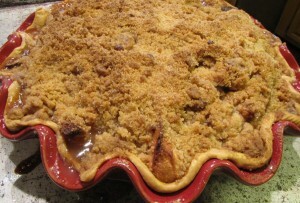 A seasonal favorite - apple pear crumble pie. 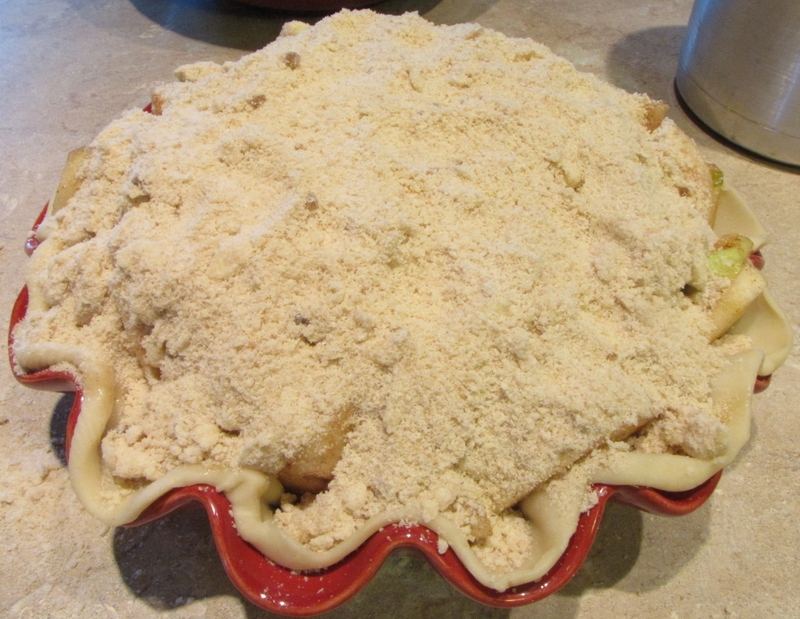 Place pie crust in pie plate. 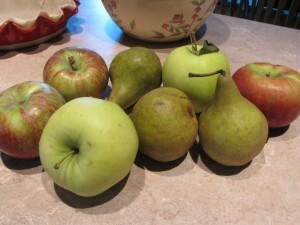 In a large bowl place the peeled, cored and sliced apples and pears. Toss the sugar, cinnamon, nutmeg and allspice with the fruit. In a separate bowl, add the flour, sugars and cinnamon. Combine with a fork or whisk. Cut in the butter using a pastry cutter or two knives. Generously sprinkle on top of the pie. Place on a baking sheet and bake for an hour to an hour and a half until the fruit is tender.